What a great weekend here in Chicago! 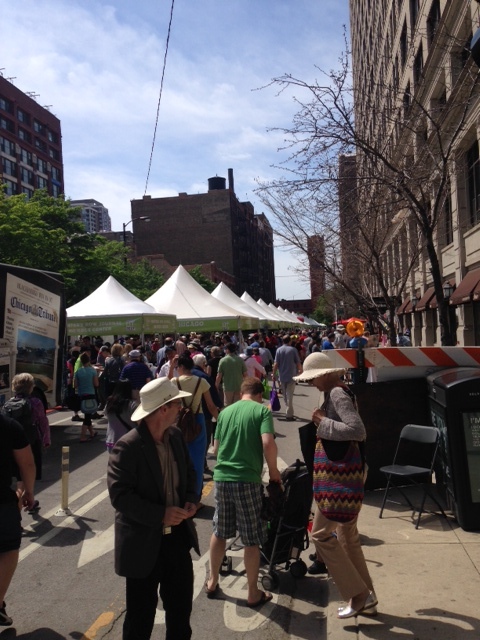 Saturday and Sunday was the Printers Row Lit Fest’s 30th anniversary. Two days worth of booksellers, publishers, cultural and literacy organizations and of course authors. There were children’s events, cooking demonstrations and author signings. The weather was perfect and the panel lineup was one of the best I’ve seen. The worst part was deciding which panel to attend since many seemed to overlap by fifteen minutes or so. Author panels that interested me featured writers such as Justin Go, Brigid Pasulka, Elizabeth Blackwell, Patricia Ann McNair, Charles Finch, Maya Lang, Cristina Henriquez, Luanne Rice, Jenny Offill, Gabrielle Zevin, Sarah Lotz and Elizabeth Berg, to name a few of my favorites. But I decided to attend the panel with Cristina Henriquez and Luanne Rice moderated by Luis Alberto Urrea. The Book of Unknown Americans is one of my favorite books this year and I was excited to meet her and hear more about how she came to write such a profound novel. This is her second book (she is sitting in the middle) and the spirit of the novel was giving these fictionalized characters a voice – a voice to their stories of immigration. All of the authors on the panel have written books embracing the subject of immigration. During the Q & A, audience members expressed their personal experiences directly or indirectly. I learned that immigration is not just south of the border and what is going on is an endemic worldwide occurrence. The stories are the same but the groups affected are different. “We find ways to be intolerant to each other”, said Luis Alberto Urrea, whose non-fiction and Pulitzer Prize finalist book, The Devil’s Highway, follows a group of men who attempt to cross the Mexican border into southern Arizona. It immediately went into my mental list of books to read and he was witty, intelligent and humble. Luanne Rice is an author I have heard about numerous times. Her thirty plus novels typically touch upon nature, family and love and yet I have never read anything by her. She had a personal experience of moving cross country and the landscaper who worked at her new home shared his own experience of coming from Mexico, leaving his family and what he endured. She was moved by his story as they spent more time together and then contacted Urrea asking if this was her story to tell. He said it was important for her to tell this story because it would not only reach her fans but change her audience. So The Lemon Orchard was written and again piqued my curiosity. I stayed after the panel discussion and had my books signed by Luanne Rice and Cristina Henriquez. They were so welcoming and spent time with me discussing their novels and I couldn’t have spent that hour doing anything else. 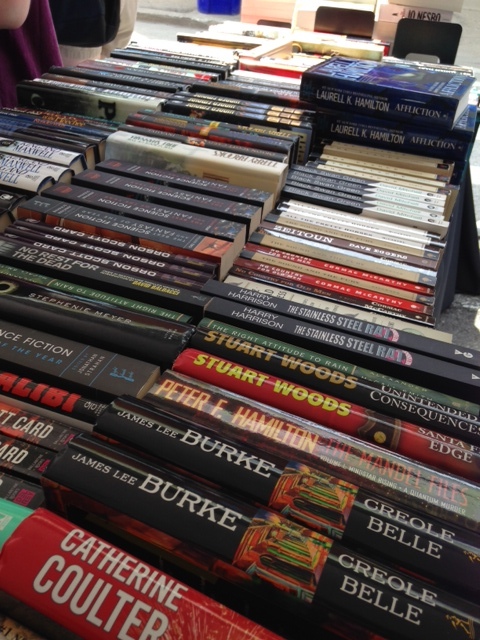 But of course the books! 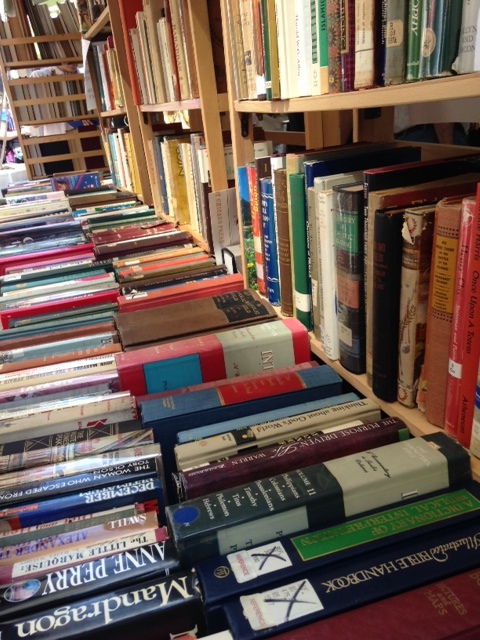 Thousands of books. 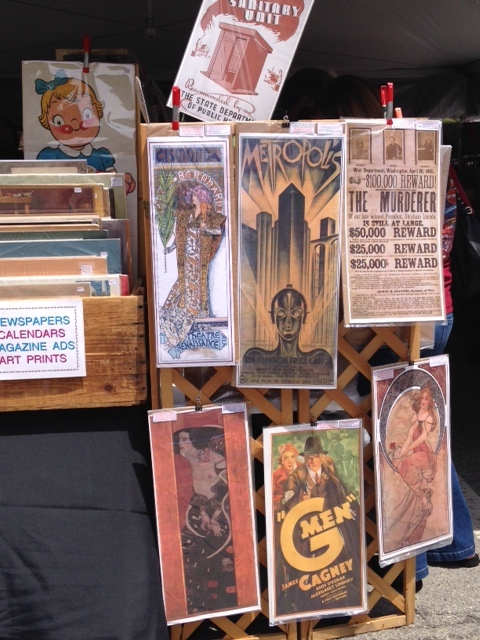 Used, new, antiquarian and some booths had vintage posters and prints that were fun to thumb through. 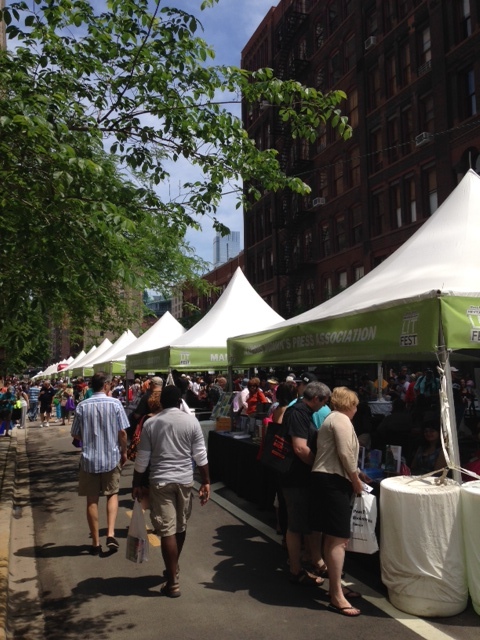 Did you go to Printers Row Lit Fest this weekend? 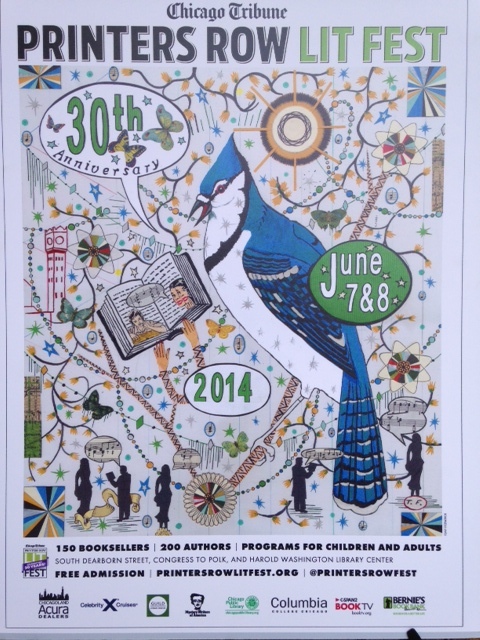 What literature fests do you go to in your area? 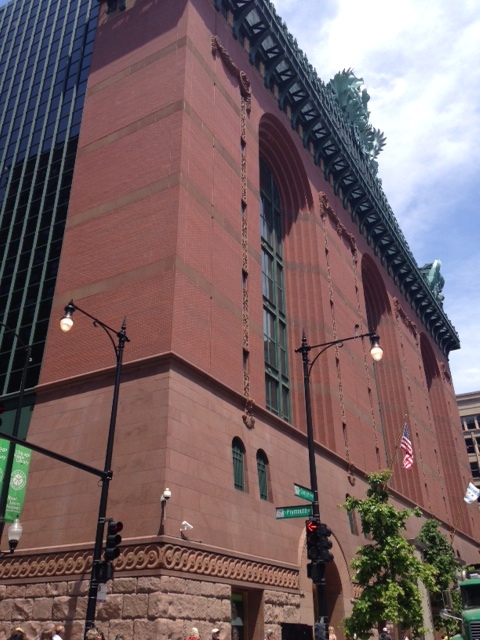 Tags: Chicago, Cristina Henriquez, Harold Washington Library, Luanne Rice, Luis Alberto Urrea, printers row lit fest 2014. Bookmark the permalink. 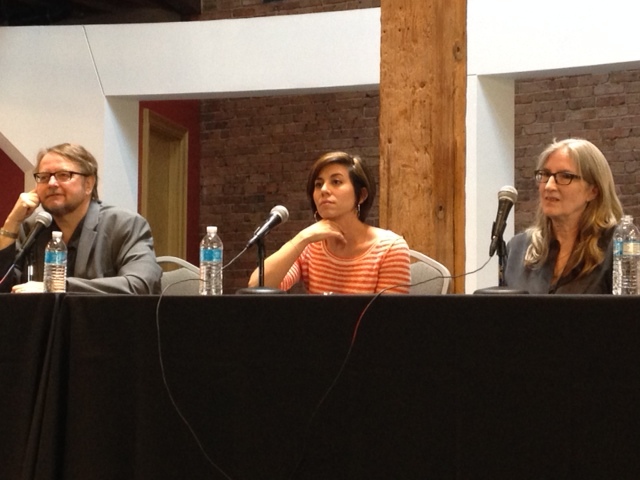 …the panel you ATTENDED. Whoops! I’ve been to Printer’s Row, but never during the ‘fest (I KNOW!) It’s unfortunate, as I’m sure I’d have a blast and a half. Maybe next year.